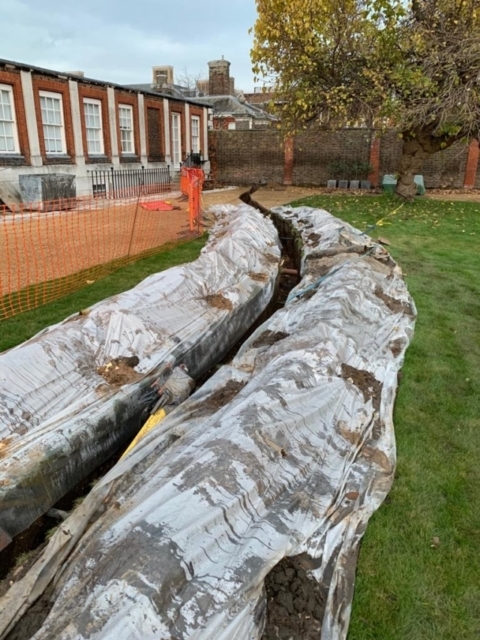 Following on from the enabling and installation work successfully carried out at the Royal Chelsea Hospital, the team at CH Systems proceeded to tackle the final part of the project: below ground gas pipework. Ultimately, the work was a success. 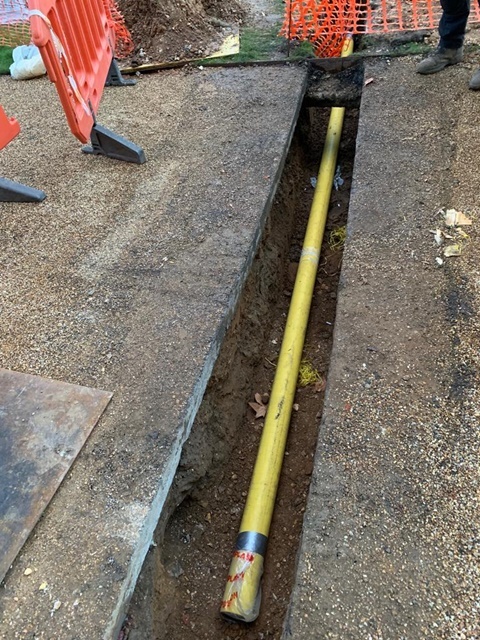 The 200meters of pipe and multiple fittings we used on the job was supplied by Smith Brothers Stores, and went together without a hitch, making for a tidy installation.  Overall the client is very pleased with the work, as are we. 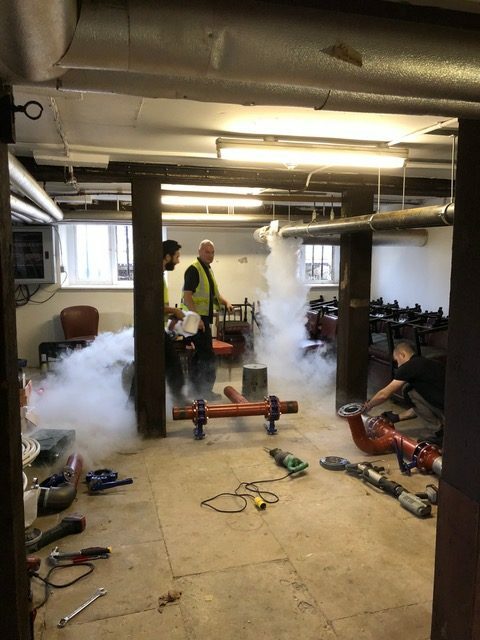 Having carried out the enabling works for both the East and West Plant Rooms at the Royal Chelsea Hospital, the CH team moved on to carry out the installation of three Worcester GB162 boilers, supplied with frames and low loss headers to each plant room. 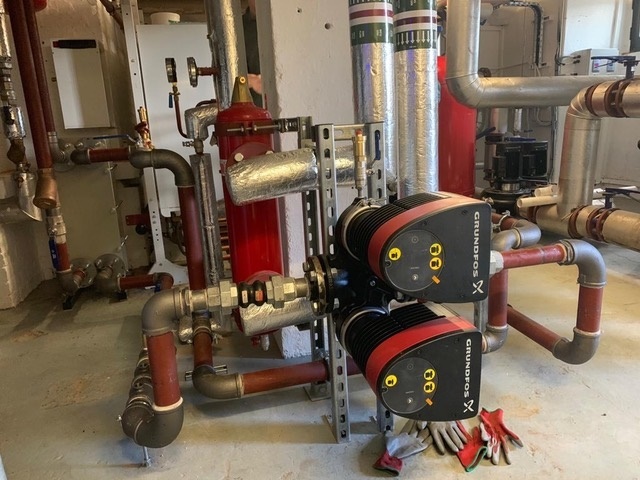 Due to the age of the existing system and a need to prolong the life of the new boilers, a decision was made to install a Plate Heat Exchanger, which offers hydraulic separation between the new and old system whilst allowing the necessary heat transfer to take place. 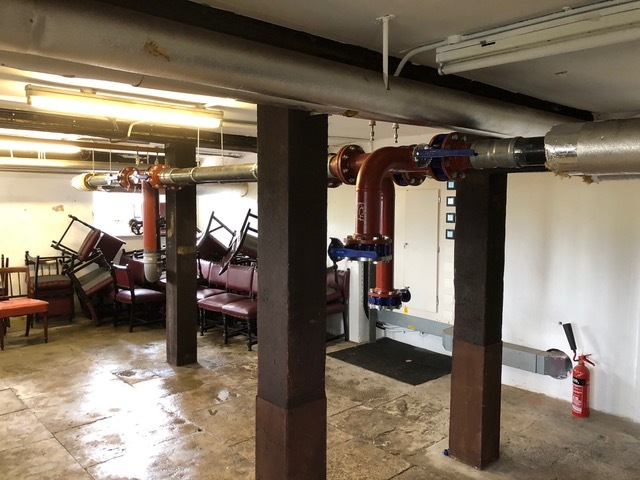 The team was also tasked with finding a suitable location for the associated Vessels and Pressurisation Units within some very compact/tight spaces. 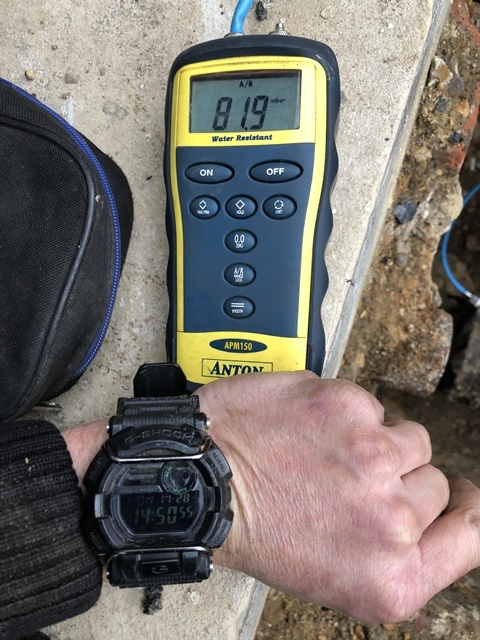 Looking at the images below, you’ll be able to see that usable space is at a premium; as such, a great deal of time was spent in consultation with the client over what would be the best and most acceptable use of the space we had. 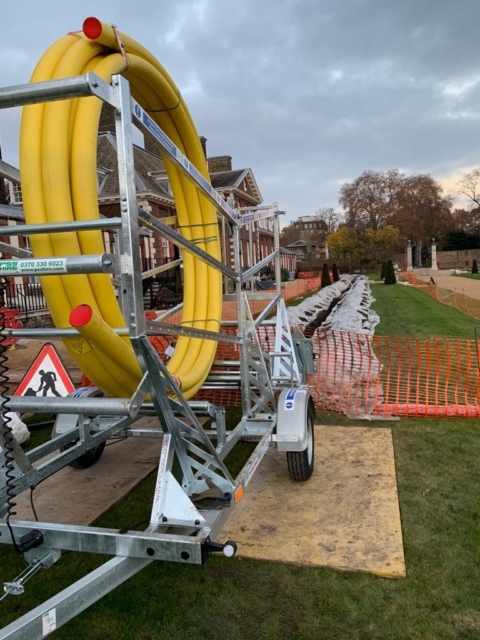 This was by no means the largest project we have undertaken but the space constraints proved challenging – the team worked efficiently to get the job done and we are pleased with the end result. 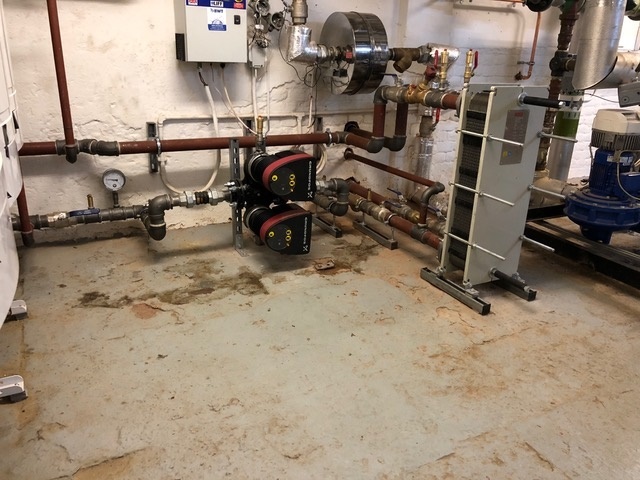 The work includes the creation of two small boiler rooms (within existing plant rooms), which are required to supplement the existing heating system during periods of high load. As one might imagine, this is extremely important within the context of a hospital environment. 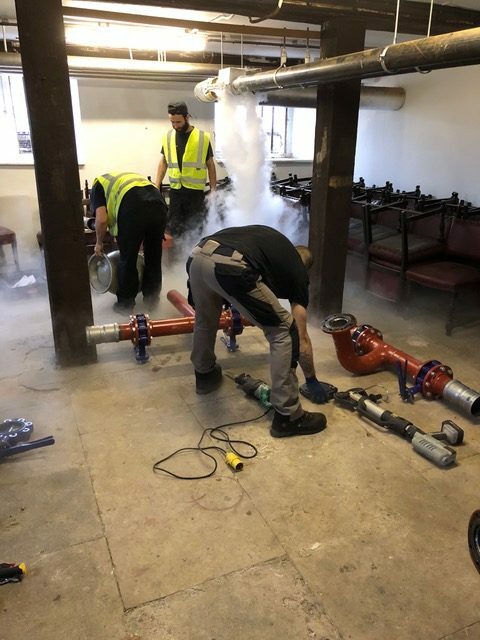 As part of the ‘enabling’ that had to be carried out prior to commencing work on the boilers, we had to cut into the existing primary pipework within the plant rooms in order to make our connections to the existing system. 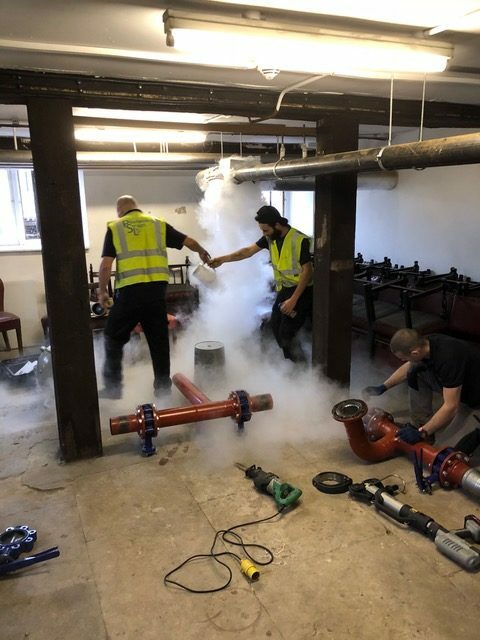 With a building of this size, draining down the pipework is not an option due to the length of downtime and inconvenience this might cause to hospital guests, so we froze the pipework in the West and East plant rooms (with the help of an expert Pipe Freezing Service) and used liquid nitrogen to stop the flow of water thus enabling work to take place with as little downtime possible. 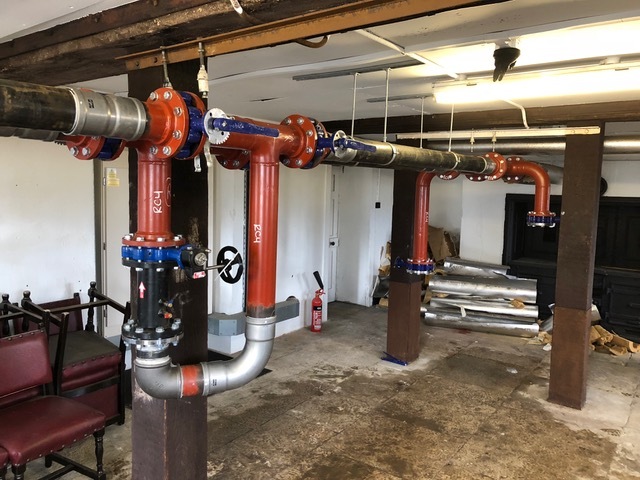 Because we were under pressure to get the system up and running as soon as possible, we opted for a number of prefabricated sections of 3-inch and 4-inch pipework (on which our welders did an excellent job) that we joined to the existing system without issue. 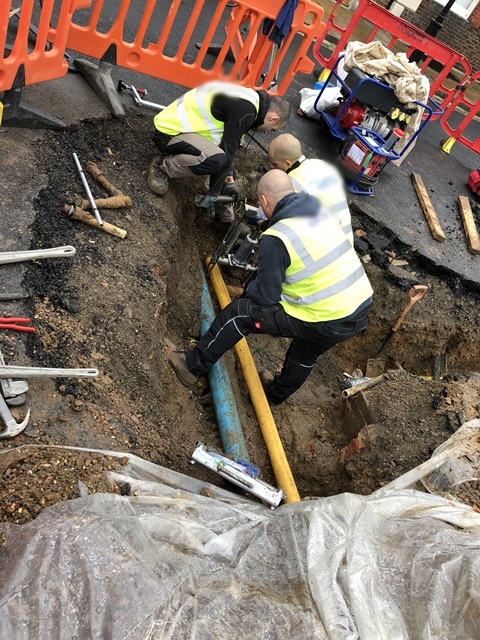 Not being able to thread pipework or weld anything into place, we used the Viega Megapress system, with support from Paul Burkett (this being our first instance of using the megapress), enabling us to press onto medium and heavy weight pipe thus dramatically speeding up the entire process. 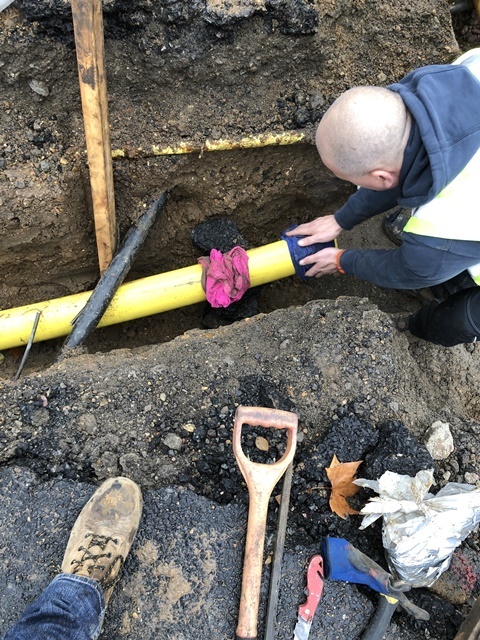 We’re still in the midst of completing the project but check out the pics below to get an idea of the the work explained above…and watch this space for further project updates.